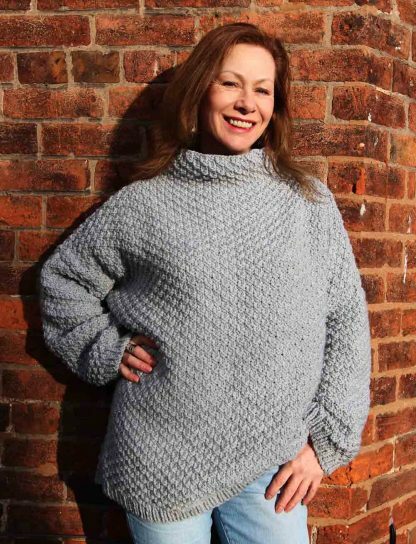 This original designer knitwear pattern from Award Winning Designer Marianne Henio is for the Jumbo Jumper. 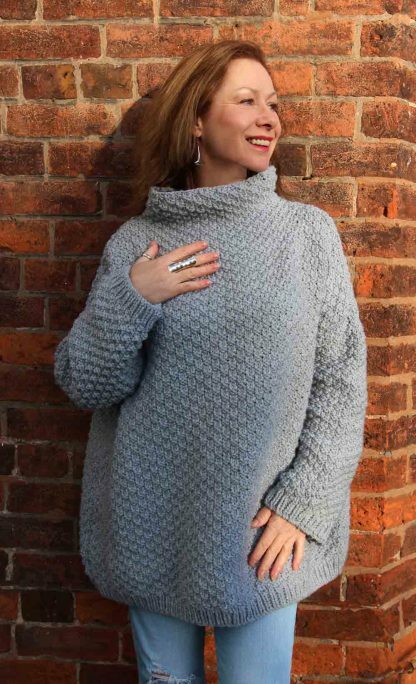 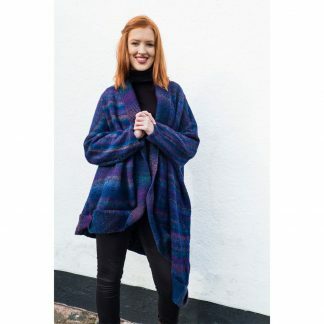 Using a chunky yarn and a 2 x 2 Moss Stitch, Marianne has created an oversized trendy look sweater for you. 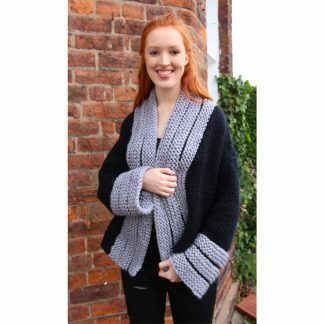 It lives up to it’s name! The pattern comes in sizes S/M/L. 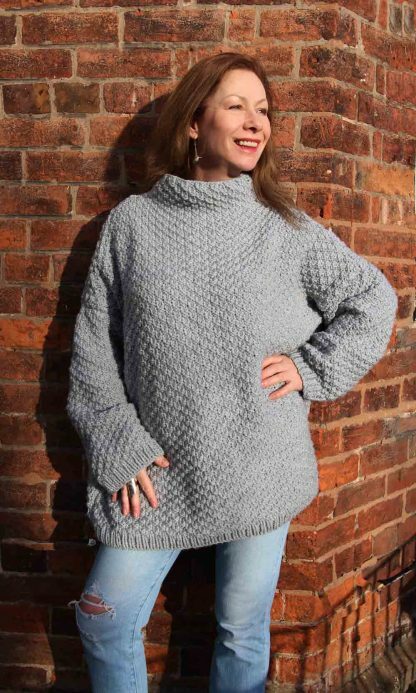 The Jumbo Jumper is for intermediate knitters. 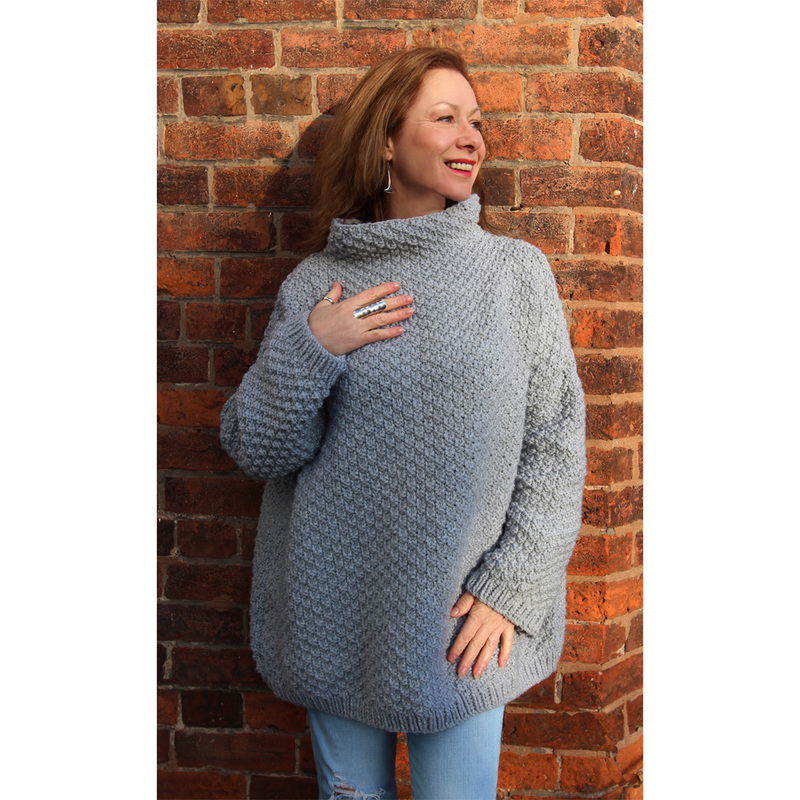 The front and back are knitted alike making it an easy shape to adapt to other yarns. 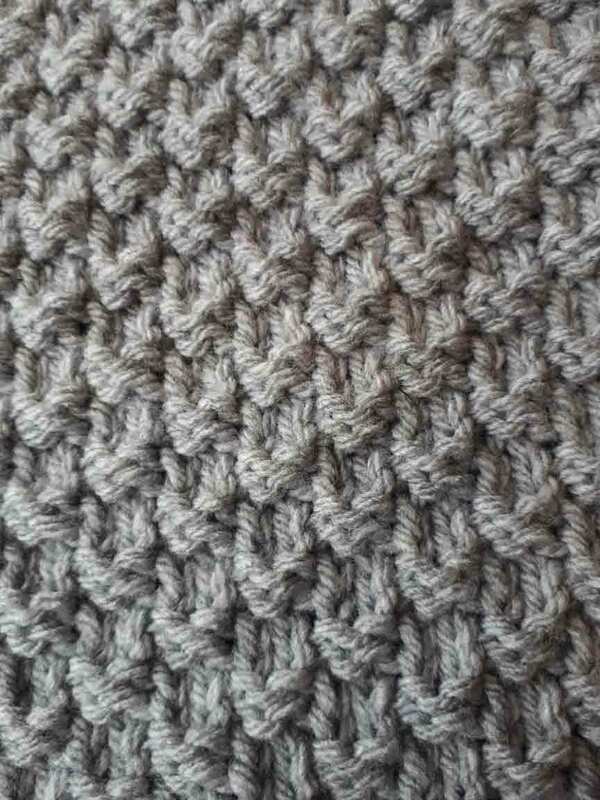 Yarn used: Hayfield Bonus Chunky in shade 815 Grouse. Total yarn used approximately S= 990g, M=1110g, L= 1270g.